Goodbye Hearing Aids, Hello SoundHawk? Millions of Americans suffer from audio impairment, but only a small percentage wear hearing aids. Why? Hearing aids are expensive, usually $2,000, and are rarely covered by health insurance. They’re also unfashionable, symbolizing aging and infirmity. Enter SoundHawk, a new technology startup that has launched their first product: Smart Listening System, a device meant to improve sounds in noisy environments. It looks better than hearing aids — almost like a Bluetooth headset, and costs only $300: a whopping 85% less than traditional hearing aids. One of the reasons it cost so much less is because unlike hearing aids, it doesn’t have to be bought from and tuned by an audiologist. Here’s how it works: the device is packed with microphones and advanced audio decoding chips to amplify the sound around you. You connect the device to a smartphone app that lets you customize how the device works in different sound environments. In dining mode, it cuts noise around you so you can better hear those you’re dining with. In outdoor mode, it reduces wind noise. The Smart Listening System is also equipped with a wireless microphone that can can be positioned a few feet from the user, and clipped to say, a person or TV. SoundHawk has emphasized that the Smart Listening system is not a hearing aid and is not meant just for people with impaired hearing. In fact, the device is technically classified by the FDA as a “personal sound amplification product.” Instead of marketing to the hearing impaired, they’re targeting those with fine-hearing who often find themselves in noisy environments, say a restaurant, concert, construction site — perhaps even on a battlefield. One potential problem: since it looks like a Bluetooth, you might have to avoid some awkward situations/slighting people by explain the device’s function. Some very cool new technology coming from a field that seems to lack it. Moreover, SoundHawk faces some interesting marketing challenges since their product looks like a Bluetooth, functions like a hearing aid — though technically it’s a “personal sound amplification product — and is intended for the non-hearing impaired. Now that I have your attention: according to analysts at Alibaba, women with a larger cup size tend to spend more. One possible reason for this strange trend: young women with less purchasing power may be the ones buying smaller sized bras. What does Alibaba say about their use of big data? “[we’re] leveraging that data to really make our operations more efficient, consumers more satisfied,” vice president Joseph Tsai. Alibaba is using their treasure trove of customer data to “know their customers” in order to decide future inventory. Alibaba, as well as Amazon and Japan’s Rakuten, are among less than 5% of e-commerce companies that use predictive data analytics. And China, with its growing and still relatively under-researched middle class, is expected to be one of the world’s most important data markets. Consequently, Alibaba has focused on data mining as one of the company’s priorities, setting up a dedicated data platform of some 800 employees last year. Alibaba’s foray into big data is telling that e-commerce companies are increasingly having leverage customer data and predictive analytics in order to anticipate and satisfy customer needs. 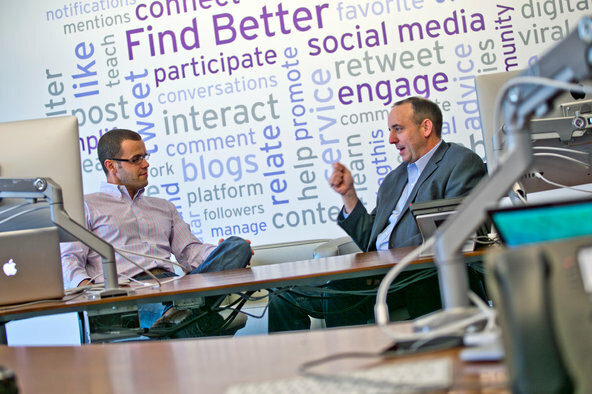 In an effort to maintain relevancy against competitor LinkedIn, Monster is snooping big-data to improve the relevancy of job openings with potential applicants. Monster uses, Talentbin to aggregate data from individuals from Facebook, LinkedIn, Twitter, and anything else online — without their consent. TalentBin is currently focused on tech and design workers, with health care workers up next. This data allows employers to find prospective employees that meet their criteria. Using this data, employers can craft personalized pitches to prospective candidates rather than send out en masse generalized irrelevant emails. Many said prospective employees are shocked to find that these extensive dossiers on them exist and oftentimes, are not even looking for a job. Monster sees the technology as particularly helpful for filling job categories with a lot of openings, such as temporary and customer service positions, in which the employer’s challenge is to find enough qualified applicants.The question is, will their invasive tactics scare people? Fancred is the first social platform that provides a personalized way for sports fans to communicate, discover, and consume their favorite sports. Users can personalize their sports news feed across professional and collegiate teams, including baseball, basketball, football, and hockey, and soccer. Users can upload text, links, photos, and GIFs as postable content. By participating, you build credibility: participants are given a Fancred rating of between 1 and 100 based on how active they are in the Fancred community, which will motivate people to participate more to increase their scores and build their community credibility. Why It’s Hot? Platform merges community, content, and credibility all together. These facets all work seamlessly within the app to provide a mobile environment that caters to what sports fans want. Better alternative for sports fans to share than the general-purpose social sites of Facebook and Twitter. 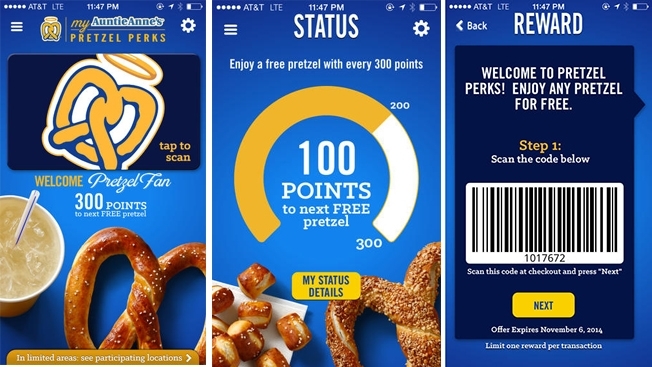 As part of their national loyalty program, Auntie Anne developed a new app called “My Pretzel Perks” that rewards loyal customers with points that can be redeemed for free food, discounts and merchandise. Consumers receive a free pretzel for signing up and can then start earning points that accumulate toward prizes and rewards. Some of the rewards include: 20 points with every visit,10 points with every $1 spent, and a FREE pretzel item every 300 points. My Pretzel Perks plays a key role in how Auntie Anne’s distributes and segments coupons by using purchase behavior to segment offers toward different groups of consumers. Why It’s Hot? People love food, especially free food. As a result, they are more likely to engage with food brands that reward customer loyalty with what they really want: more of the food they love but FREE. This changes the customer experience: everytime a loyal customer buys a pretzel, they will look forward to the time when they don’t. This means they’ll be back for more. Food brands who want to improve customer loyalty can follow suit and change the customer experience to make it a more rewarding and goal-oriented experience. The NFL is going to implement RFID chips on players’ shoulder pads to give fans, coaches and players real-time analytics about what exactly athletes go through during each game such as position, speed, distance traveled, acceleration, distance between players etc. The RFID chips will communicate with receivers installed in 17 stadiums during the 2014 season. The info will be useful for teams and players themselves, who can use of the data to change strategy and evolve their game. Why It’s Hot? Sports is becoming more technologized like we saw with the soccer goal sensors. This data could lead to big changes in the way the game is played, such as health research, player improvement, team strategy etc.Technologically, this stream could be set up via second screen apps so you can sync it with live football broadcasts. The new app Yeti helps you discover what’s happening nearby and chat with others on topic you care about. Members in more than 120 countries and 3,500 cities use Yeti to connect with other locals, get great recommendations, and discuss what matters to them.The user-interface is very similar to Tinder. By using the swiping system, the forum is self-monitoring: If users repeatedly swipe left on a topic, that topic will stop coming up. If users’ swipes are similar to another user’s, Yeti will make more of the topics that user joins appear. The app is particularly popular among travelers, who’d rather use Yeti than drain phone battery on Yelp or Google Maps. Why It’s Hot? Tinder’s likeable swipe interface could spread to other apps. This app could displace Yelp and Google Map’s market share. A new app for Google Glass warns users of impending enemy rocket attacks.The Israel Missile Alerts app was developed by RustyBrick, a software developer that sought to provide real-time updates on attacks against Israel through Google Glass. Both the time and location of the attack will be shown on the transparent Google Glass display, regardless of whether or not the user is in Israel. The Google Glass app joins other smartphone apps “Yo!” and “Red Alert” that provide instant warnings of attacks. Why It’s Hot? Apps aren’t just for socializing, shopping, finding your way, or checking the weather. Apps can actually save lives. New apps might be created for defense purposes. Amazon has petitioned the Federal Aviation Administration (FAA) for exemption from rules barring it from testing drones in the United States. Why It’s Hot: Could revolutionize e-commerce delivery, significantly cutting down delivery times, prices, and even pollution. The NSA’s vast spying program negatively affects tech, communication, social media, and other industries, where the NSA has unconstitutionally acquired back-door access and information. Many individuals, companies, and governments are wary of doing business and sharing their personal information with companies such as Microsoft, Google, Yahoo, Hewlett Packard Facebook, Verizon, and AT&T to name a few. The latest US company to get hurt by the NSA is Verizon (our client), dropped by the German government as a service provider over worries about U.S. spying. 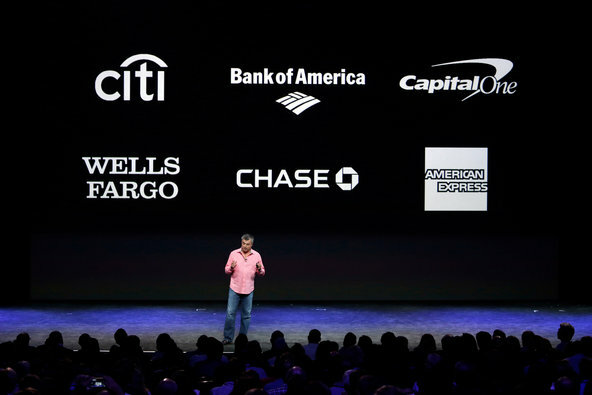 Adweek recently announced that Mobile ROI has introduced a new marketing tool called Mobile Marketing Cloud, an integrated cross-platform solution that empowers brands to build evolving, long-term, individualized relationships with customers by automatically delivering personally targeted and contextually-relevant content. Here’s how it works: the tool aggregates a brand’s social, digital and traditional marketing channels in order to let brands better understand how consumers interact and respond to each type of marketing platform.Then the tool enables brands to act on these insights by triggering automated, contextual messages. Why it’s Hot: Helps brands evaluate and improve their ROI cross platforms through the only mobile-first marketing automation software to contextually engage and optimize customer experience, deepening loyalty and boosting sales.